Ticket sales for this program are closed. 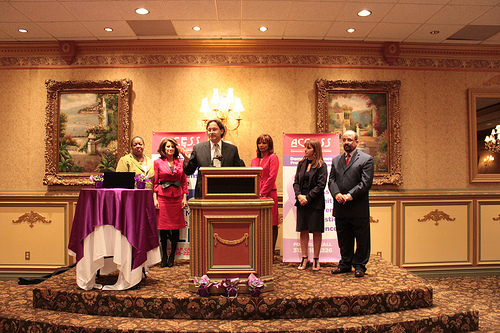 The ACCESS Community Health and Research Center will host the 8th annual Domestic Violence Awareness and Treatment Program fundraising banquet on Friday, March 7, from 6 to 9 p.m. at the Dearborn Inn. "Thriving Strong" is this year's theme. The keynote address will be delivered by Hon. Judge Charlene Elder, 3rd District Court, Wayne County, Family Division. *The VIP reception will take place at 5:30 p.m.
For more information, or to purchase tickets or sponsorships, contact Juvaria Javaid at jjavaid@accesscommunity.org, or call 313-624-0409. View and download the sponsorship form online.